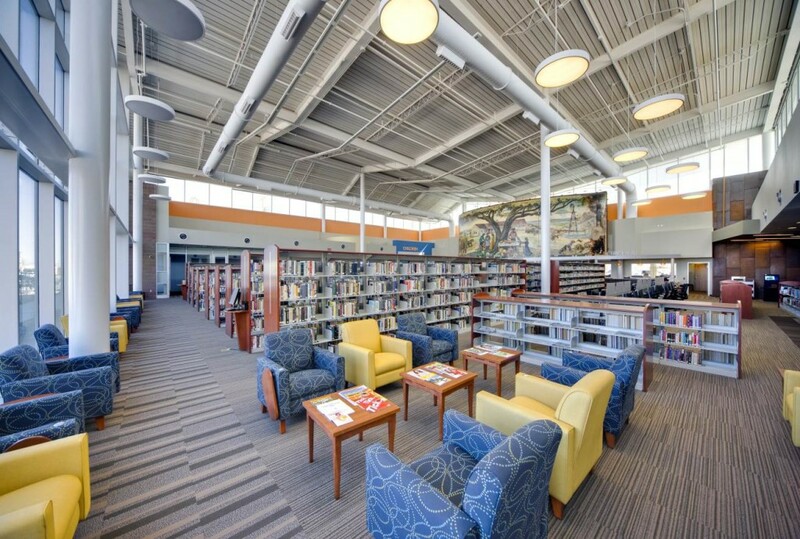 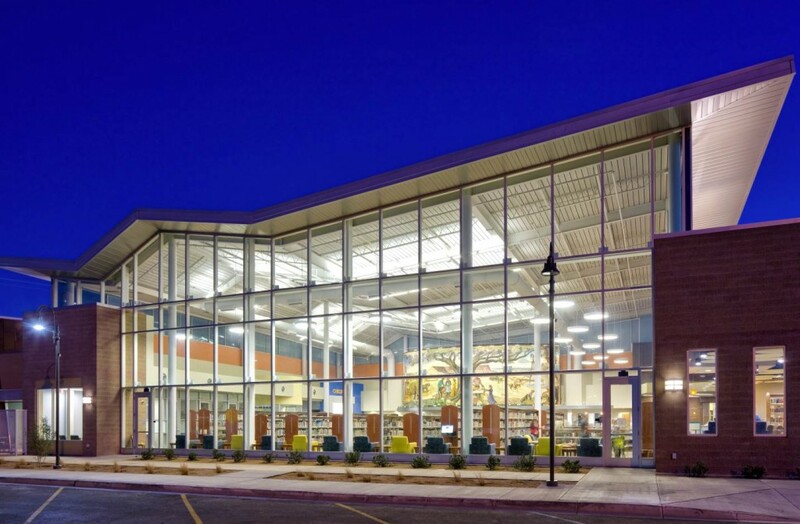 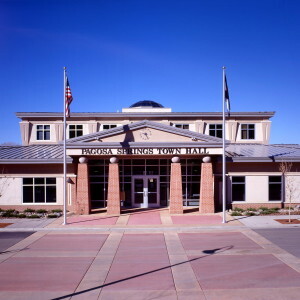 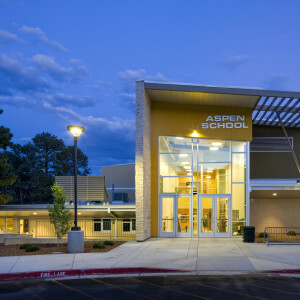 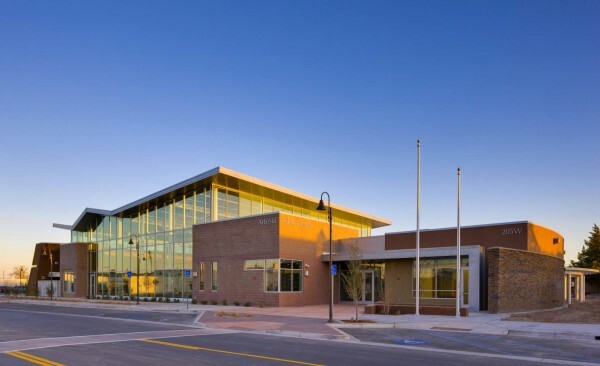 The new Artesia Public Library is a 26,000 square foot building which replaced the former library. 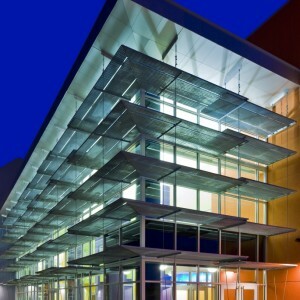 The building includes a flying roof over the reading rooms, a teen room, and a separate children’s reading room and theater area with stage lighting. 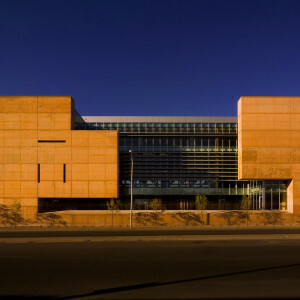 Exterior finishes include masonry and metal panels. A unique feature of this building is the curved sixteen by forty six foot Peter Hurd mural that has been re-located from its former home in Houston, Texas. 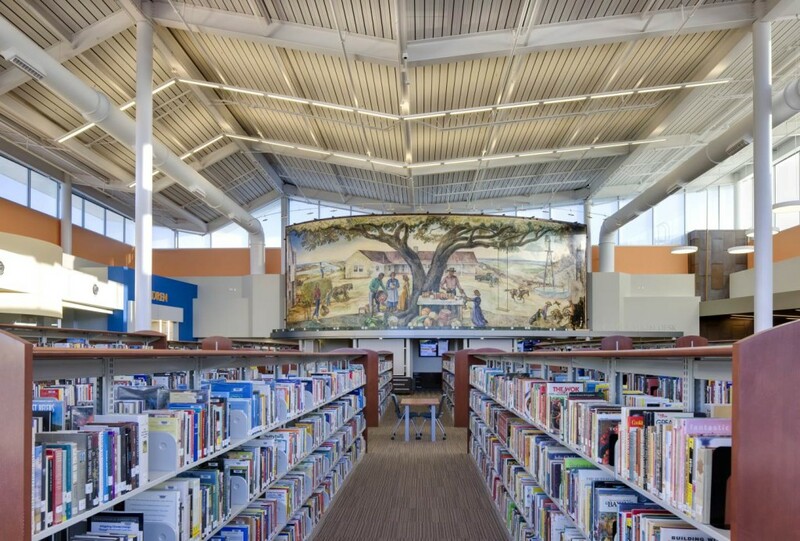 A large curtain wall at the main reading room of the library allows the mural, The Future Belongs to Those Who Prepare For It, to be seen from Main Street when the building is lit at night.